You rarely see typos in packaging, probably a result of reviews by multiple sets of eyes. 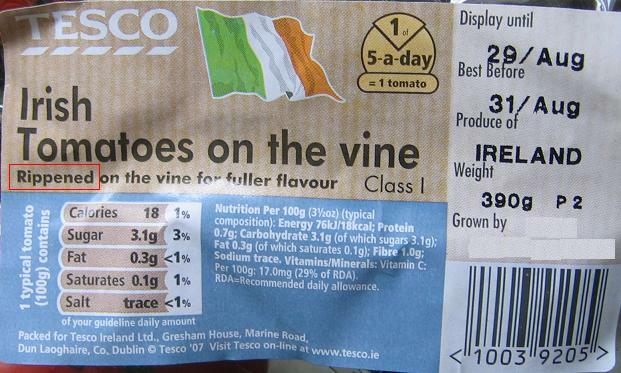 Tesco have missed on on their Tomatoes on the vine product. 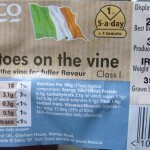 These are Rippened (sic) on the vine for fuller flavour. I wonder how many of these stickers Tesco has already printed and how long it will be before a corrected version appears. That’s if they answer my email.